The Osun APC's leading gubernatorial aspirant, who is also the Chief of staff to incumbent Governor Ogbeni Rauf Aregbesola, Gboyega Oyetola was momentarily the cynosure of all eyes at the just concluded APC national convention at the eagle's square as his supporters in hundreds moved round all the adjourning streets around the convention ground to eulogize and sing praises of the Ilerioluwa brand. 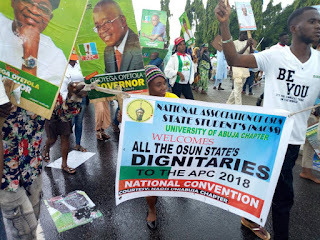 Banners of Gboyega Oyetola welcoming all delegates from all the states of the federation to the APC national convention were also hung at the entrance of the convention ground, as they were the only supporters of any other gubernatorial aspirants from Osun. 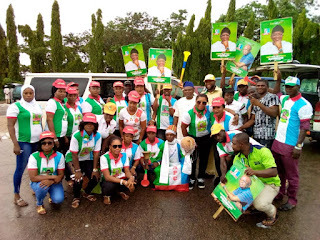 Early in the morning before the official kickoff of the programme, the Ilerioluwa team comprising of party leaders, students, and artisans from the state were seen singing beautiful choruses of Ogbeni Rauf Aregbesola and that of Mr Gboyega Oyetola to the admiration of onlookers and passersby which attracted delegates from other states to join them in the carnival like procession within and around the square. 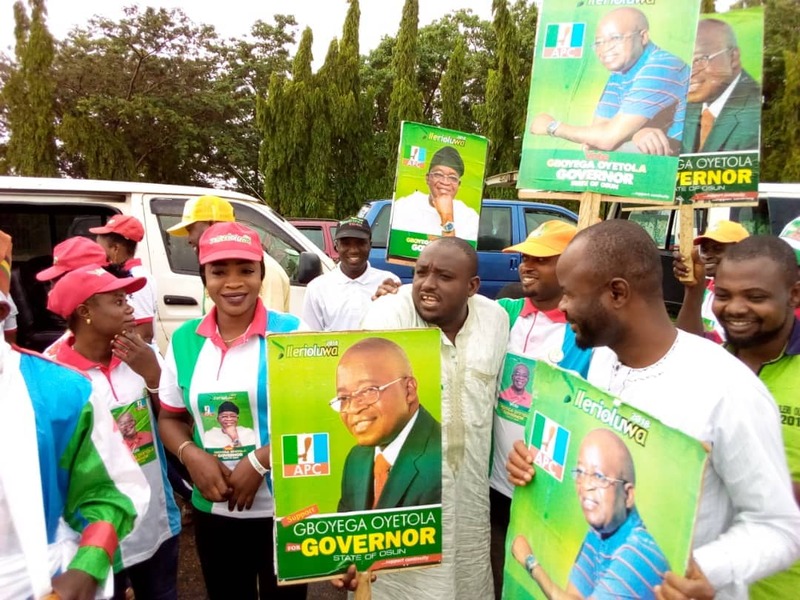 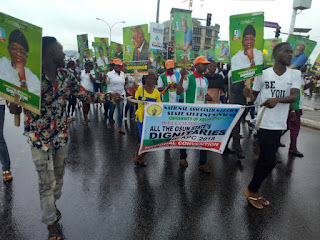 Speaking with journalists at the venue of the national convention , one of the Oyetola’s supporters, Comrade Wale Adebayo of Osun Youth Group , said the publicity was designed to project the image of Oyetola as an acceptable brand within and outside the state.
" This publicity demonstrates Oyetola readiness to partner with the national headquarters of the party to implement people friendly policies as soon as he scales through the hurdles of July 7th and September 22nd when he is elected Governor. We are beneficiaries of his kind hearted generosity as a promoter of education and we are more than committed to his emergence as the candidate of APC in our state, he concluded, " Adebayo said.